Pipelines have been running through our nations lands dating back to the 1950s, when this method of transportation was developed to carry oil and natural gas to Eastern Canada and the U.S., eventually being carried North. The pipelines originate in Alberta, running in all directions: west to British Columbia, north towards the Northwest Territories, south to Texas, and east up until Quebec, with a pipeline even running between New Brunswick and Nova Scotia. There are more than 840,000 km of pipelines criss-crossing the country. 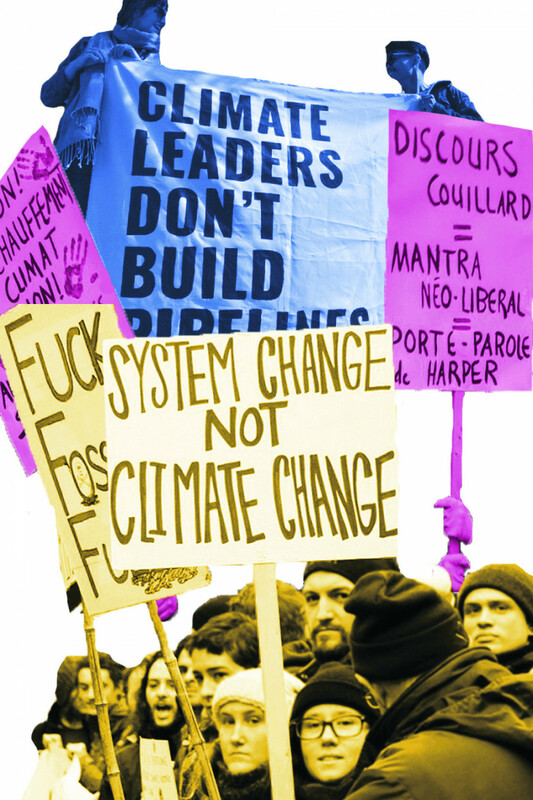 These lines are not without controversy, as production within the Canadian tar sands generate greenhouse gases. While oil and gas are a valuable part to Canadian economy, the nation competes with Saudi Arabia, who ships their oil to Eastern Canada. Environmental concern isn’t the only dispute: pipelines run through Indigenous lands, not all of which have been granted approval. Canadian law states that First Nations must be consulted about pipeline projects. Under Prime Minister Justin Trudeau, the United Nations Declaration on the Rights of Indigenous Peoples was adopted to allow Indigenous groups access to the right of consent towards resource development projects that go through their land. However, as long as the government has attempted a sincere consultation, project can legally proceed even without Indigenous approval. The most recent debate on pipelines has resurrected due to tensions recently exemplified within the Wet’suwet’en nation, as the Royal Canadian Mounted Police forcibly removed of activists preventing TransCanada Coastal GasLink from being constructed on their land. 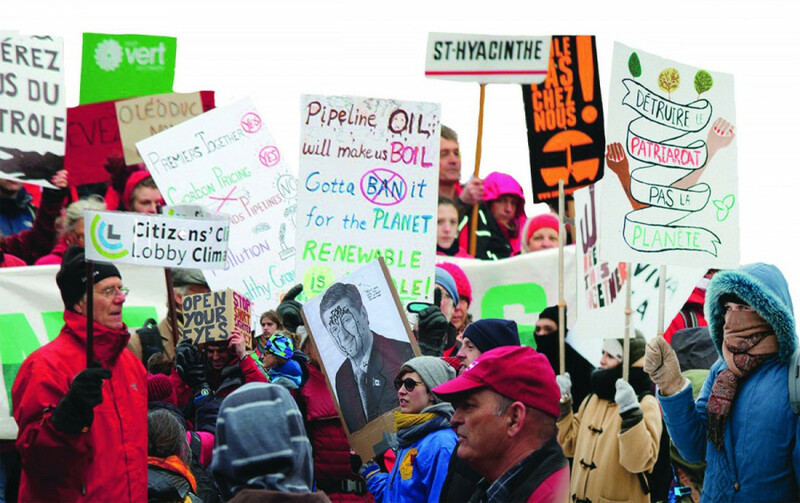 And that’s just part of the tensions surrounding pipeline construction. The federal government announced it had purchased the existing Trans Mountain pipeline, built in 1953, and its expansion project for $4.5 billion last September. The price of the expansion itself is estimated to be about $7.4 billion. The project, which would expand the capacity to transfer oil from Alberta to BC, has gained criticism from both politicians and environmentalists. Forty-three First Nations signed agreements signalling their support for the Trans Mountain expansion project. However, the six First Nations of Tsleil-Waututh Nation, Coldwater Indian Band, The Stó:lō Collective, Squamish Nation, Upper Nicola Band, and Stk’emlupsemc te Secwepemc of the Secwepemc Nation, are leading challenges against the project in court, which could have a major impact on the future of the expansion. The Trans Mountain pipeline, bought in 2005 by Kinder Morgan Inc., covers 1,150 km from Strathcona County near Edmonton, Alberta to Burnaby, BC. The planned expansion would build a second pipeline alongside the existing one and would increase the transportation of oil from 300,000 to 890,000 barrels per day. Further, it would increase the traffic off of BC’s coast from approximately five to 35 tankers a month. Under pressure from the Alberta government and the oil industry, the federal government purchased the existing Kinder Morgan pipeline. Trainor said it became obvious that Kinder Morgan had decided not to proceed with the required investment given economic uncertainty due to legal delays and dropping world oil prices. “Not only did the Liberals spend $4.5 billion of taxpayers’ money buying a pipeline that a private company wanted to build without a single tax dollar, but they failed in the negotiations, spending a billion more than the Independent Parliamentary Budget Officer [Yves Giroux] had estimated,” said Luc Berthold, Mégantic-l’Érable MP for the Conservative Party. Shortly thereafter, the federal Court of Appeal ruled that further consultations with First Nations would be necessary and the National Energy Board will have to review the the effects of more tankers off the BC. coast before the expansion project can continue. Trainor said these consultations are currently ongoing but the Liberal government is under extreme pressure from Albertans and the oil industry to advance the project as soon as possible. As it stands, the conclusion of these consultations doesn’t have a deadline. “From an economic perspective, there are always benefits and costs associated with a pipeline project, and one needs to study how efficient would the pipeline project be in enhancing Canada’s economy,” Harb said. According to the Conference Board of Canada, it’s estimated the pipeline project would create the equivalent of 15,000 construction jobs, not to mention the equivalent of 37,000 jobs per year of operations in direct, indirect and induced jobs in Alberta and BC. An increase in the taxes collected could also be used for public services such as health care and education. Last Spring, Alberta Premier Rachel Notley called the pipeline expansion “a major step forward for all Canadians.” She said the pipeline is a financially feasible and will generate profits. She conceded that governments may be held accountable if there is a spill, however, Notley said spills are not occurring as often. But critics say The Trans Mountain pipeline will raise the amount of tankers in BC waters, increasing the chances that one of them will hit something and cause a spill of fuel into the ocean. A major oil pipeline leak in 2011 was caused by the rupture of the Plains Midstream Canada Rainbow pipeline. It resulted in 28,000 barrels of oil spilling in northern Alberta, and was reported as the biggest spill in the province in 35 years. Some of the oil had seeped into the wetlands nearby. But in 2016 there were fewer than 100 spills larger than seven tonnes reported, compared to 3,000 in 1974. “The federal government has to represent every province and territory, and if any sector is struggling, our job is to ensure that we’re doing everything we can to get the most out of that sector and provide jobs for those people,” said Schiefke. According to Schiefke, this is especially the case for Calgary, as the city currently has one of the highest unemployment rates in the country. In 2016, British Columbia said it didn’t support the Trans Mountain pipeline, in part out of concerns about the lack of information provided by Kinder Morgan Energy Partners for their proposed spill prevention and clean-up program. Kinder Morgan has increasingly been using the pipeline to transport diluted bitumen from the tar sands, which is much more corrosive than regular oil. Bitumen is a thick tar-like mix of hydrocarbons that is toxic and very difficult to clean up if there was a spill. The crude oil pipeline Enbridge Line 9 provides oil to Montreal’s Suncor Refinery from Sarnia, Ontario. It’s processing on average 24,300 barrels of diluted bitumen a day. The TransCanada Corp. canceled its Energy East Pipeline and Eastern Mainline projects, after being subject to increased regulations and facing opposition from environmental groups. Canada not only receives its oil from the Alberta tar sands, but also from Saudi Arabia. “Alberta crude extraction is a relatively recent phenomenon and Canada has been importing Middle Eastern oil for a very long time,” said Syed Ahsan, a Concordia professor emeritus in the economics department. Saudi Arabia’s oil reserves are the second largest in the world. According to the National Energy Board, Canada has approximately 80,000 barrels of oil imported from the kingdom every day and we pay them about $2 billion a year, versus the $3.8 million barrels of oil produced by Canada per day. The situation is a matter of money. Acquiring Saudi’s oil through affordable transportation and having it refined in New Brunswick is cheaper than the complex and expensive process of extracting the oil from Alberta’s tar sands and refining it. Only certain refineries can turn Alberta bitumen into gasoline, which are mainly located in Alberta and BC The greenhouse gas emissions for extracting and processing oil sand are larger than for regular crude oil, and contribute to global warming. The oil is then moved to the Burnaby Terminal—a distribution point for crude oil to local terminals. The Irving refinery in St. John, New Brunswick receives 40 per cent of its crude oil from Saudi Arabia. However, in light of the fractured diplomatic relations between the two countries, some economists say Canada could easily replace the Saudi Arabian crude oil with its own if the kingdom stops selling it. 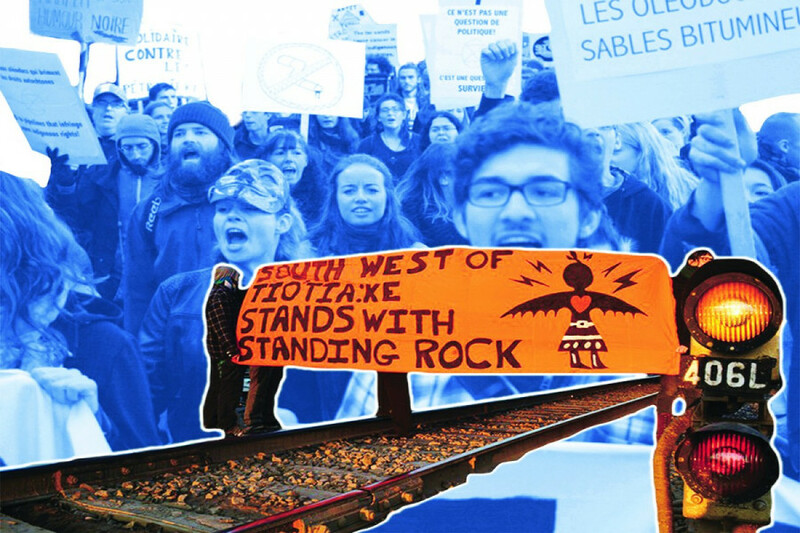 Indigenous nations are particularly affected by the pipelines threatening their land. The Wet’suwet’en is the most recent nation to publicly oppose pipelines and face attacks from the RCMP. The nation called for a stop on the Coastal GasLink pipeline project because the RCMP enforced a court injunction for access through the Unist’ot’en camp, about 15 minutes from the worksite. “We review major projects proposed on Wet’suwet’en territories,” Mike Ridsdale, environmental assessment coordinator for the Office of the Wet’suwet’en. The Oceans Protection Plan, a $1.5 billion federal policy unveiled by the current Liberal government in 2016, attempts to address environmental consequences brought on by oil transportation and potential spills. It includes provisions to protect chinook salmon, fund new research on water contaminants, and plans to reduce noise from the thousands of vessels that travel near the whales each year. Schiefke said he believes an environmental and economical balance is needed. “It’s about being realistic about our economic needs, and then doing the hard work necessary to innovate and look for ways to reduce greenhouse gas emissions in other sectors by using revenues to invest in green technology,” said Schiefke. With the upcoming federal election later this year, the pressure to decide on the fate of the Trans Mountain Pipeline may come into the forefront of Canadian concern. If the project goes according to plan, the added construction is expected to take about 30 months, which means the pipeline could be operational in 2022.